Razer is trying to take over every aspect of your gaming experience. While it started with gaming laptops, gaming keyboards, mice and headsets it has now taken into account the next frontier of gaming which is streaming. Game streaming and Let’s Plays have become one of the most viewed video content on internet and Razer wants a piece of that market. At this year’s TwitchCon it has launched two new pieces of hardware which is likes to brand as Streamer Certified. This Streamer Certified broadcasting hardware includes the Razer Kiyo webcam and the Seiren X USB condenser microphone which you may need for a broadcast standard live streaming. While you might argue that your current webcam and headset with microphone would be more than capable for live streaming, Razer thinks you can improve on it by investing more money. One of the things missing from your current webcam setup might be lighting and the Razer Kiyo takes care of that. 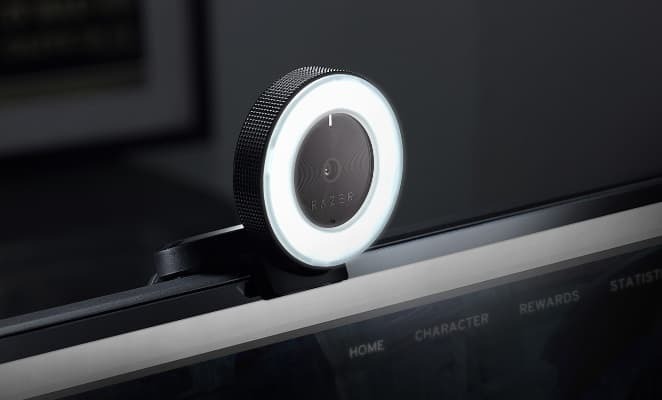 The Razer Kiyo is the first webcam to come with an adjustable right light. As the Razer Kiyo records video in either 720p at 60fps or 1080p at 30fpswhile it lights up the subject which in this case is you with 12 levels of adjustable brightness from its ring of 12LEDs. The Razer Kiyo hooks up to your PC with USB 2.0 and works well with Open Broadcaster Software and Xsplit for easier streaming experience. You can hook it up to any monitor or laptop display with the help of an adjustable hinge. The Razer Kiyo will retail for $99.99. 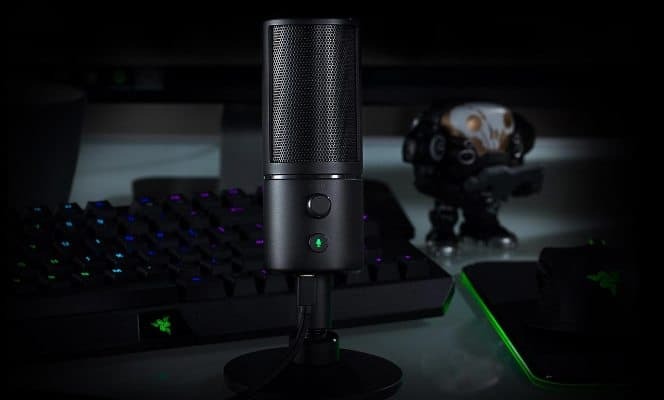 If you have an additional hundred dollars to spend on your streaming setup you can go for the Razer Seiren X which is a professional grade USB condenser microphone. The Razer Seiren X comes with an inbuilt shock mount that dampens vibrations and its pickup pattern reduces noise from surroundings. Since the Razer Seiren X is a condenser microphone you can pickup sounds from a greater range of frequencies. A removable desk stand is included with the Razer Seiren X. The Razer Seiren X as we said above costs $99.99. Both the Razer Kiyo and the Razer Seiren X will be available in the US from the Razerzone from later this month and they shall reach stores globally by the end of this year.